It’s been a year since Jerreh Cham left The Gambia and began his journey to Europe. 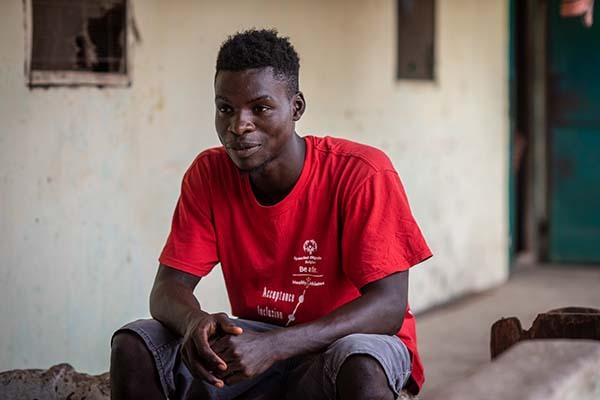 Like many young people searching for better opportunities, he took the so-called “back way,” a perilous journey through the Sahel to Libya, and then on to Europe on a smuggler's boat. “I knew about the desert and the sea, but about the maltreatment and torture … I didn’t know about it. I learned about that along the way,” says Jerreh. Jerreh didn’t make it to Europe. His boat returned to Libya after taking in water, and he was arrested by the country’s marines. “They put 500 or 600 people inside a prison. Most prisons don’t have a mattress for you. You don’t have room. You would sit, open your laps and the next person would sleep on you,” he explains. Eight out of every 10 migrants report some form of abuse or exploitation along the harrowing routes across West Africa. Jerreh’s story is not unusual. 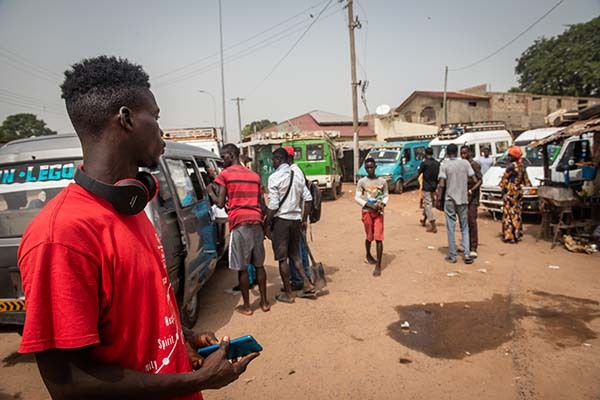 In The Gambia, youth make up the largest demographic in the country–37% of people are 13 to 30 years old—among this group unemployment is at 38%. When Jerreh finished school, he faced two critical challenges: inadequate skills and a scarcity of jobs. His dad had passed away several years ago. His mom is a farmer, his sister a teacher. They didn’t earn much when he was younger, he says. He wanted to help his family and continue his education in the UK. He borrowed $100 from his sister, packed only few items for his journey, and left without even seeing his mother. “Two shirts, two pants, boots and my phone so I can use that for communication—that’s what I went with,” he says. From The Gambia, he took a bus to Senegal, then Mali, where he ran out of money and stayed with other migrants for three days until his family could send additional funds. At the time, there were concerns the Ebola outbreak in West Africa would spread to Mali. His journey continued from Mali to Burkina Faso and then Niger, along the way paying various people, known as agents, brokers, smugglers, or traffickers—depending on who you ask. They’re supposed to be experts on migration. In Libya, his journey took a turn for the worse. The first time he was arrested but escaped. The second time he almost died. “We had 120 people on our boat. We entered international waters, but the boat busted. People started moving to the tail of the boat. I don’t swim. We saw a helicopter, but it left. We couldn’t find any rescue boat,” he explains. They turned back, and he was arrested and sent to prison, where he stayed for two and a half months. There, he lost the few things he had brought with him from home. “They put electrical wire on your arms. Beat you. Some people died because of the pain. I have permanent back pain. They beat everyone. They used us to get money. If you don’t pay, they won’t stop,” says Jerreh. In Jerreh’s case, his family sent money to free him from the prison. However, the ransoms only added to the shame of returning home without achieving his goal of a new life in Europe and in debt to his family. Despite what he went through, Jerreh and the friends he made along the way were still hopeful. “We thought about what we were doing before we left, and we started to get hope. We started to make plans,” he says. Finally, Jerreh and several hundred other migrants boarded a United Nations-chartered flight back to The Gambia. His mom had no idea if he was dead or alive, let alone when or if he would return home. When he reunited with his mom, “she couldn’t talk. She was overwhelmed. Those were touching moments for me,” he says. A year later, Jerreh opened a shop selling and repairing satellite dish antennas, after receiving technical training from the United Nations. CRS is helping communities in The Gambia learn Jerreh’s lessons without having to risk their lives and family finances by providing life skills, job training and education.